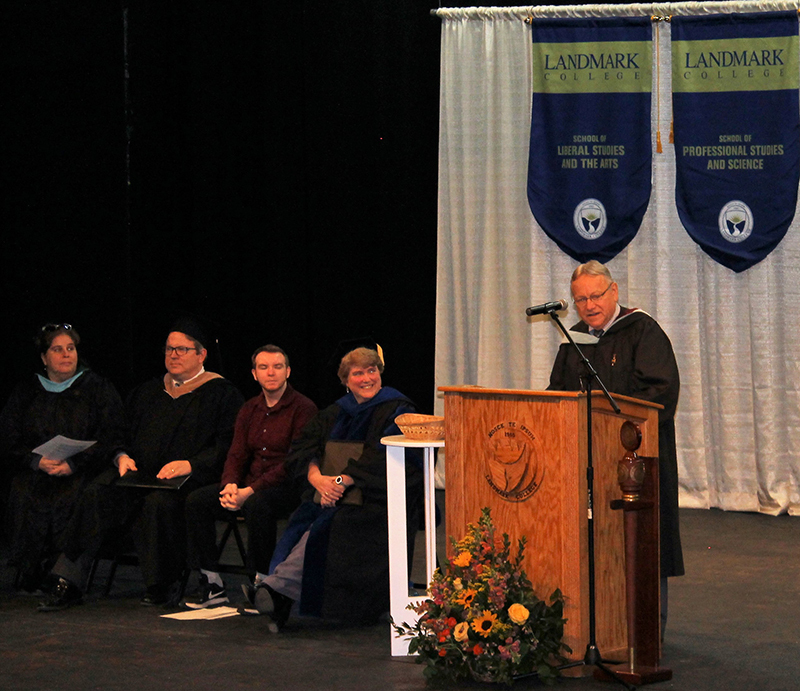 New and returning students were welcomed to the Landmark College campus for the start of the 2019 Spring Semester on January 26. 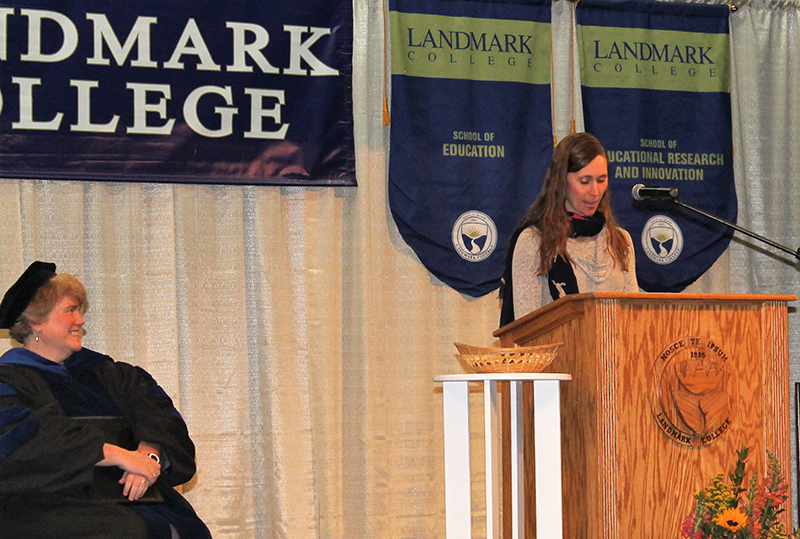 The convocation ceremony featured remarks by current student Ryan Linkletter, alumna Katherine Wagenbach ’98, and associate professor of History Michael Hutcheson. Linkletter told his fellow students how attending one of LC’s summer programs for high school students set him on a better academic path. He described himself as “unmotivated” and “shy” prior to that experience. 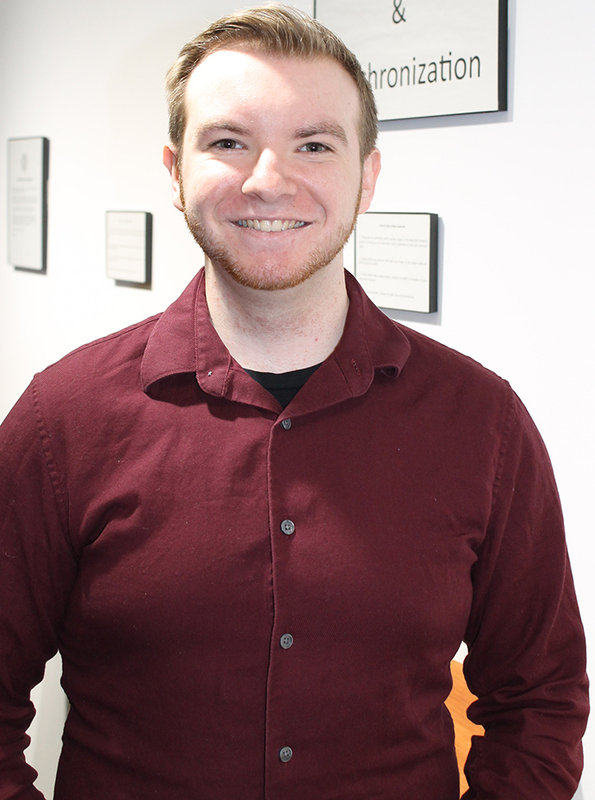 Now in his third semester as an undergraduate student, Linkletter is a Resident Assistant and Vice President of the Student Government Association. His advice for the new students included joining clubs. “There are ton of clubs on campus that cover at least one interest people have; such as student government (hint hint). It is a great way to meet new friends and make connections,” said Linkletter. For Wagenbach, the biggest difference between Landmark College now and when she was a student 20 years ago are the technological advancements now available. 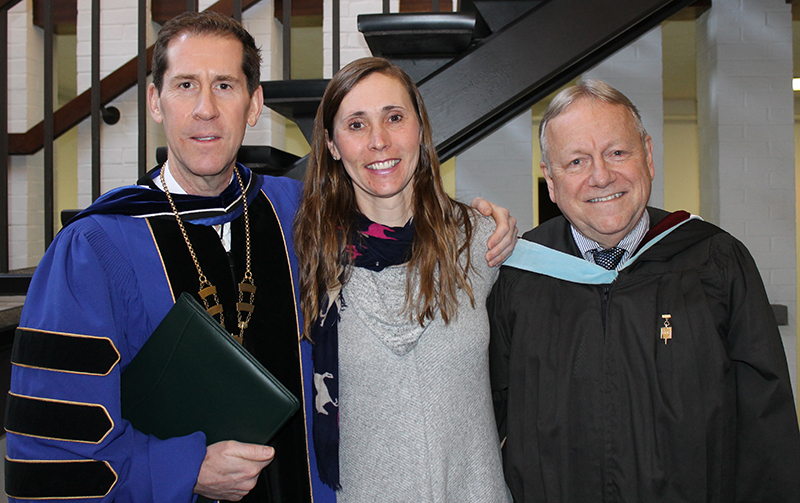 The key to success, however, according to Wagenbach, remains the faculty. One of those amazing educators is Hutcheson, who will be retiring before the start of the Fall 2019 semester. Hutcheson shared his first encounter with a Landmark College student, which actually pre-dated his joining the faculty in 1991. During his time teaching literature at a small liberal arts college, he witnessed a student named David who struggled in an introductory English course, and then returned from Landmark College with tools and techniques that helped him perform well in an advanced course focused on the works of James Joyce. 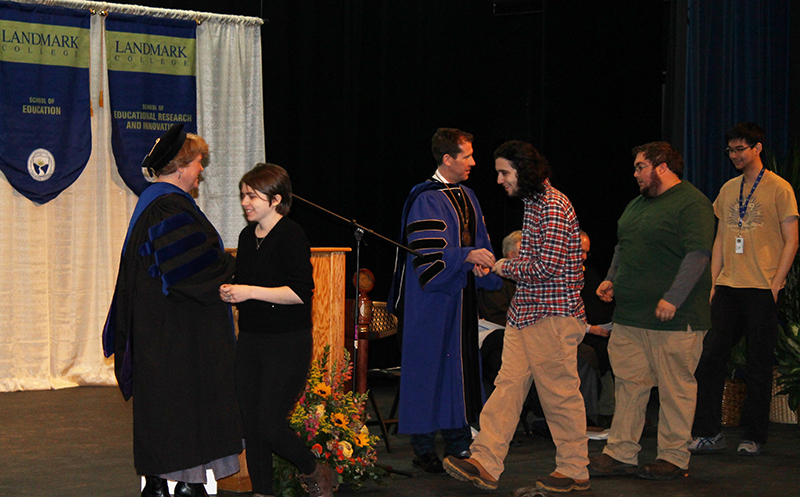 With that, new students came on stage to receive the Landmark College coin, meant to embody the worth and worthiness of each student. Then everyone gathered in the dining hall for a celebratory reception.